American Prince of Tennis Manga Assistant to go to San Diego Comic Con??? You can help make this headline come true without the question marks! One of my manga friends, an American manga assistant to the popular Prince of Tennis, needs your help! She’s trying to get to the annual San Diego Comic Con, the biggest pop culture convention in the continental U.S. In order to get there, she needs to find some funds. “I was invited to speak at San Diego Comic Con in July!! The thing is that I need your help. I can only spare the time to come for the one day that I’m invited to speak, what with all of the chaos going on in my life, but I’ll fight hell or high water to be able to share my experiences with everyone. I just need some help paying for it. You know that I come from a poor family, and working for a mangaka didn’t pay all that well, nor does book writing (I wish that it did!). But I don’t want the money to stand in my way. Instead of a corporation paying my way, I’m hoping that the fans will. That everyone who has heard my stories will chip in just a little bit. I need your help, let’s help each other, ne? Donate anything, even your pocket change! 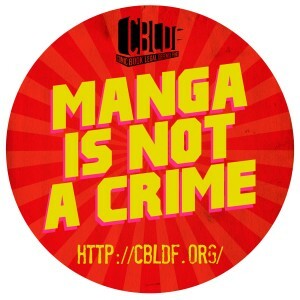 It’s a good opportunity for Americans to learn how to break into the manga in Japan Land! This entry was posted in America (米国・アメリカ), Anime (アニメ), Art (芸術), Charity (慈善), Japan (日本), Life (生活), Manga (漫画), Writing (文書) and tagged assistant, donate, Jamie Lynn Lano, manga, Prince of Tennis, San Diego Comic Con. Bookmark the permalink.